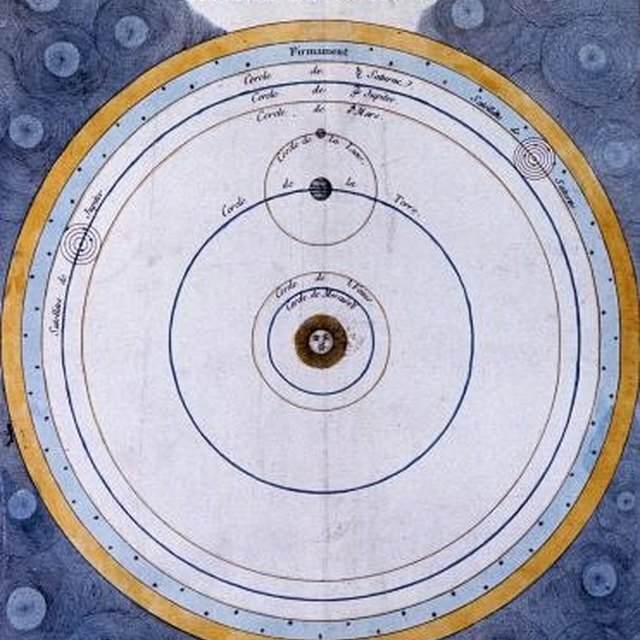 Solar systems have been a staple in science projects for as long as many of us can remember. Knowing how to creatively present this age-old schooling tradition can be a challenge, particularly for the parent with little experience. Fortunately, helping your child with her fourth-grade solar system science project is simply a matter of knowing what to look for. Depending on the requirements your school has for science projects, you may consider trying to build a solar system to scale. This requires quite a bit of mathematical precision and patience, but could just be the project that sets your kid above the rest. Obviously, if you are building your solar system in a shoebox this is not a viable option because the pieces would need to be so small as to be impractical. However, if you are given the length of a gymnasium to use as you'd like, it's something to consider. You could also try to rework the measurements so that they fit along the length of an average 10-foot 2-by-4. Simply convert the millions of miles and planets into feet or inches, and the estimated volume of a planet to the size of tennis balls or marbles. Generally, the more accurate the measurements the more fun it is for the kids. If you have the time, resources and ability, you may want to consider using high- definition computer printouts of the surfaces of planets to paint, color, or draw your models. An interesting take on this project might be to render a three-dimensional model of the surfaces of the various planets using crumpled paper instead of dangling Styrofoam balls that are usually used. Choose the sphere that will serve as your planet, then cover it in the paper, taking care to make the mountains and valleys correspond (at least generally) to the topography of the planet you are trying to emulate. If you are particularly mechanically inclined, then creating a moving solar system might be an option for you. There are kits available for purchase that will create this for you, but you might want to use them as a model and do it yourself. Often this involves gear differentials and a crank or cranking mechanism of some kind. Be sure that you don't take on a project that resides outside your skill set. Everyone expects planets and a sun in a solar system. You can add pizazz to your display by adding so much more. For instance, take small pieces of gravel to illustrate the dust belt that exists between Earth and Mars. Create comets and asteroids that are flying either toward or away from various planets. Jupiter has several moons, so go ahead and illustrate them all. The more detail you add, the more fun it will be for your children. Rigden, Jonathan. "Fourth Grade Solar System Science Projects." Sciencing, https://sciencing.com/fourthgrade-science-projects-solar-system-7941374.html. 25 April 2017.